Learn how to fix the error "incompatible cartridge" on HP printers, follow the steps below, if you have any other questions, type a comment. The HP 4500 printer is a great printer, ink cartridges, same as the old cartridges, good performance and quality. This printer can print, scan, make copies and send and receive fax all in one place. Consistent with this error, and most HP printers manufacturer still not over, this error is saying "incompatible ink cartridges" is a tradition in the HP printer ink cartridges, although the ink cartridge is compatible with the printer is possible that this error occurs after a long time filling the ink cartridges or unused ink cartridges. To solve this problem we need to really know because it has caused, it may be because of the cartridges or fault of the printer, in most cases it is because the printer connectors are dirty or connectors ink cartridges. The recommendation is to clean the connectors of both the printer and the cartridge, for it will need either a cotton or a little napkin, moistened with isopropyl alcohol a considerable amount and gently cleanse either cartridge connector as connectors printer. If this fails and the printer still has an error is recommended to remove the cartridge from the printer and let stand this for a moment, we are talking about a half hour at least, so it is possible that the ink cartridge to cool one little if overheated therefore this work. All followed this procedure and still remains the same cartridge is advisable to check which is the ink cartridge that is presenting the problem and replace it with a new cartridge. 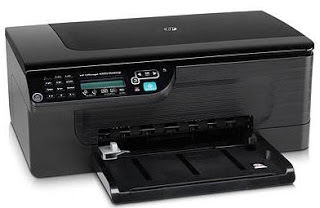 If you are able to put the ink cartridge in a much better printer, so you will confirm whether or not the ink cartridge is presenting the error is damaged or the printer problem, should be the problem with replace cartridge, preferably by a new ink cartridge after attempting to verify if the printer is in perfect condition.